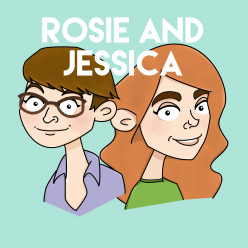 In episode 91, Rosie and Jessica return with their annual quiz of the year! Expect at least two questions about Candice from Bake Off, a whole round on Rosie and improper use of cold cucumber. Quiz! Quiz! Quiz! Jessica picked Freeze Your Brain from the musical Heathers, while Rosie went for Tilted by Christine and the Queens.